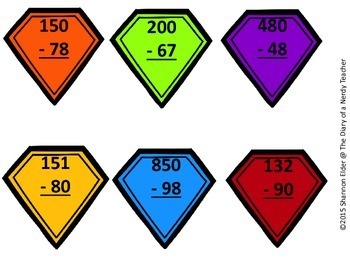 3 Digit-Subtraction Bingo with 10 unique bingo cards! 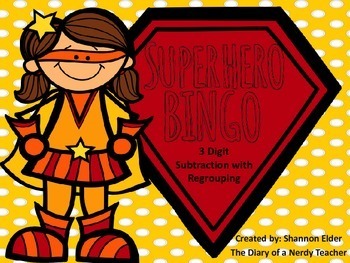 With this purchase you will receive: 10 unique bingo cards, 30 call out 3 digit subtraction cards, & superhero space covers. 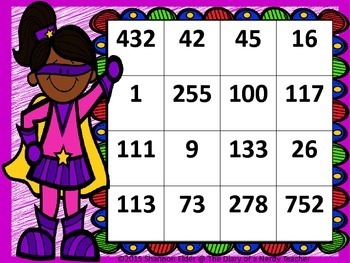 This is a great way to review or work on subtraction without the boring worksheets! Once the kids can do this on their own, you could put this in a center/station for extra practice. This activity will SAVE THE DAY!